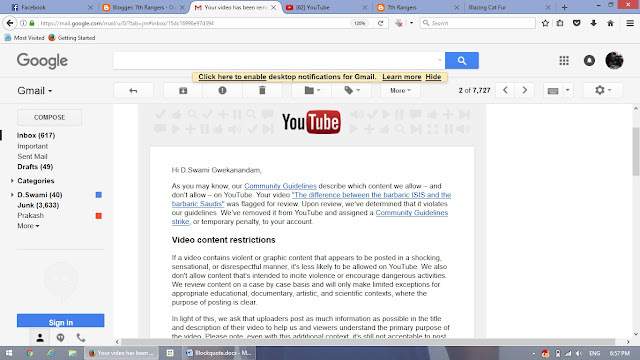 U Tube is being very politically correct. 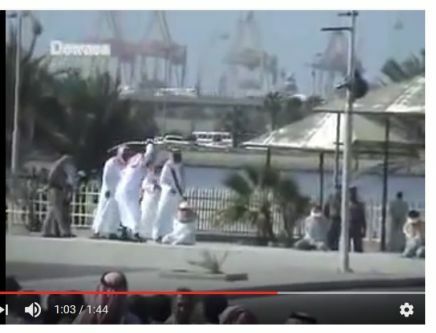 The video clip recorded from a handphone by Indonesian Pilgrims from a bus, whilst the Saudis were head chopping, I uploaded in 2014, titled "The difference between the barbaric ISIS and the barbaric Saudis" . Screen capture of the video clip I uploaded. Suddenly I am suspended for the so called violating Community standards. I had already received a first strike for uploading an ISIS terrorist being taken out. It is bloody unfair of U Tube. Actually here in Malaysia we are going from a tolerant society to the way of the Saudis/ISIS. ISIS harsh brand of Islam is rooted in austere Saudi Creed.Caliph Ibrahim, the leader of the Islamic State, appeared to come out of nowhere when he matter-of-factly proclaimed himself the ruler of all Muslims in the middle of an otherwise typical Ramadan sermon. Muslim scholars from the most moderate to the most militant all denounced him as a grandiose pretender, and the world gaped at his growing following and its vicious killings. His ruthless creed, though, has clear roots in the 18th-century Arabian Peninsula. It was there that the Saud clan formed an alliance with the puritanical scholar Muhammed ibn Abd al-Wahhab. And as they conquered the warring tribes of the desert, his austere interpretation of Islam became the foundation of the Saudi state. Much to Saudi Arabia’s embarrassment, the same thought has now been revived by the caliph, better known as Abu Bakr al-Baghdadi, as the foundation of the Islamic State.